Planning a trip to Sun Valley Idaho? 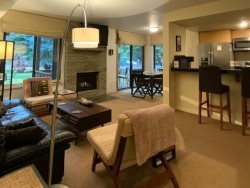 Here are our available year-round vacation rentals within walking distance of the River Run Lodge and downtown Ketchum. All located in the Horizons Four complex, our vacation condo rentals feature beautiful views of the mountains, pool and hot tub access, updated lodging amenities, and are conveniently located close to everything. Whether you enjoy skiing, mountain biking, hiking, or the variety of entertainment and nightlife Sun Valley offers, you and your family and friends will love your stay here.